It's been a wild week and a half. Two Thursdays ago we were gearing up for the biggest snow storm of the year. Our fridge was filled with ingredients intended for potato soup, cream biscuits, buttermilk pancakes, winter tea, and chocolate yogurt—comfort foods to make a treat out of being housebound for the weekend. All we needed, then, was a thing or two more of firewood and we would be set. Andy had been traveling on business in the days leading up to Thursday morning and he arrived from the west coast via red-eye around 10am. On his first step into the house the kids bombarded him with their new lego builds and crafty things they'd created in his absence, while pressing to know what he had brought back to them from his airport convenience store raids for knick knacks and sweet things. Soon after, we bundled up and left to grab lunch at our favorite coffee shop, leaving Andy to nap, and returning home around 1:00 so I could make it to a routine cervical-length check appointment—my first since the preterm consult I wrote about here. While my cervix had been a normal length (3.1 cm) at 17.5 weeks, in only two week's time it had funneled to just 7 mm. I was admitted to the hospital on bedrest Thursday night and scheduled for an emergent cerclage. The procedure itself carries inherent risk to pregnancy, and we weren't certain there was enough tissue to stitch, but a cerclage was successfully placed on Saturday. I stayed over for post-surgery monitoring and discharged late Monday afternoon. My writers mind has been blocked these last 10 days. There's been so much activity, information, worry, and wonder—peace in my mind creates space to write with purpose, and it's been challenging under the circumstance to focus in on any one thing to write about in a coherent way. The winds have been shifting daily, and that's probably part of the challenge. 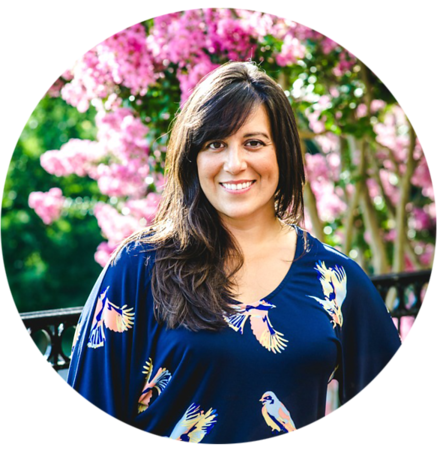 I have been writing to process though it mostly occurs in text conversations and notes I make for myself, and some journaling here and there—but for my you, my reader, I've not really known where to begin. I'm probably more timely on Instagram right now, if you would like to follow along over there. The current situation is this: I am on bedrest until I give birth. Given the nature of my pregnancy, my providers have shifted a degree, and my midwife is now serving as my doula, her collaborative physician is now my primary OB, and I'm planning a hospital birth at one of two local hospitals that I will get to choose from based on my preference for their NICUs—one has established mother baby rooming-in, and the other is undergoing a big transformation that could translate to a similar setup in the coming weeks or months, but I will have to wait to see how it all comes together. I'm also being monitored by a maternal fetal medicine specialist. The cerclage buys time, but we don't know how much time. We are expecting Winslet to be born early, at 30 weeks or sooner. I am 21 and 2 days today and 24 is the magic week of viability. 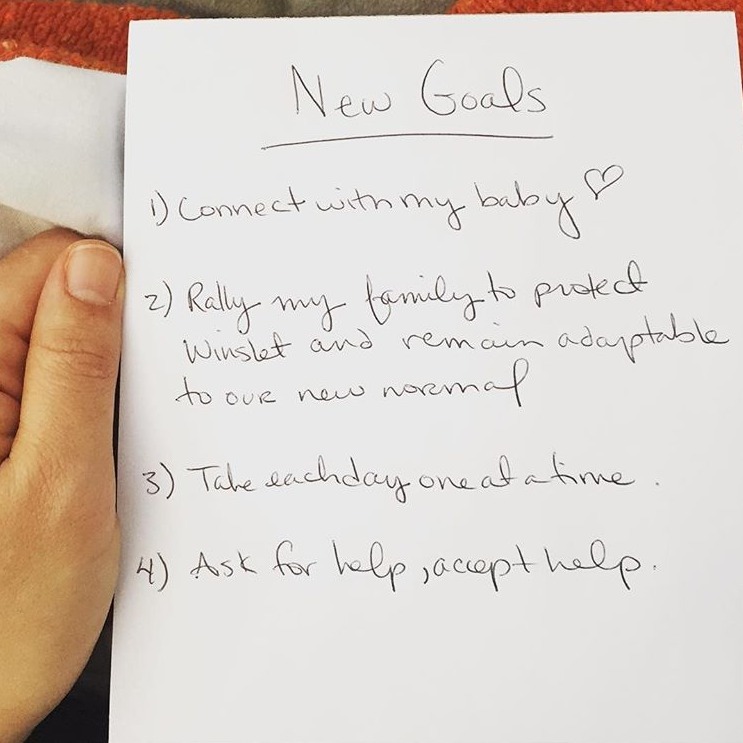 My goals right now are focused and simple: to connect with my daughter; to rally my family to protect Winslet and to remain adaptable to our new normal; to take each day as it comes; and to ask for and accept help. Andy has altered his work schedule so that he's home 2 days a week to help me and to take Roscoe and Merritt to activities outside the house. My mom and sister are helping on the weekends and we have homemade dinners arriving nightly from friends in our community. My mama friends are coming to help with the boys and to bring their kids over for playdates. I feel well supported and so grateful. I was discussing with a friend how these strict boundaries and limitations, while challenging in their own way, do elicit a greater appreciation for the details of regular daily life, and it certainly sparks creativity and a desire to make the best of what this (crazy) season is offering me at the moment, much like seasonal eating in the winter time when variety is slim and it first looks like you don't have much to work with. I think it helps that this forced hibernation is occurring mid-winter, when everyone else is compelled inside too. Though I was annoyed by the temps today—in the high 60's—and I realized that at this point I would feel much better if it were bitter cold and miserable outside. While my enthusiasm for bedrest will surely wax and wane, right now there is a pleasant novelty to it. I've picked up a knitting project I shelved a few years ago, and I've ordered some craft kits from purl soho to give me something to do when there is downtime. I have a new book of Henry David Thorough's work, which I will be reading voraciously for any and all inspiration. I'm craving a nature walk right now, in a bad way, and I may have to set up an observation station outside so I can sip warm drinks from a perch of my own making to feel the wind and hear the sounds, and watch my breath create smoke in the winter air. A firepit this time of year could be my new oasis. Beyond bedrest, we are all adjusting to spending more time together as a family, and helping the kids to function when there are two parents around, with the primary one sidelined. Our general routine was a shifting of responsibility, either Andy was on or I was on, but we didn't spend a lot of time each week all together, the four us. It's also tough to parent from the couch. That's not really working well at all! The boys are under their own stresses and worries for the situation, new routines, and lots of new faces around the house. Their emotions run high, so we are being mindful of their process and trying to help them to make sense of everything and stay even keeled. And for me, I've had to give up (along with everything else) my regular workout routine, which is necessary at this time but also steals away a core part of my being and a daily mental health outlet that I have learned to heavily rely on. So there's all of that! Still, I know this is all just a matter of time. Tomorrow is February, and by June Winslet will be home with us, and we'll be hurdling together into the Summer months. The interim of now is not forever. Those are great goals for where you are. I can feel that you are very grateful. Your positive vibes and your family will be your refuge during this time. Light + Love. I've been trying to decide what to type here for at least 20 minutes now. I've gone between "I have major respect for you - I'd be a hot mess if this happened to me", to "Your outlook and goals are so beautiful - I teared up reading about taking the time to connect with your baby." to "I loved your comparison of it being like seasonal eating during winter", but since nothing sounded right, and there is hardly ever a "correct" thing to say - know that I'm thinking of you as each day towards week 24 (and beyond) ticks by. Your vulnerability and honesty will be encouraging to many. Much love!